The Serene MedSpa was created to provide a convenient, tranquil retreat where patients can relax and rejuvenate while addressing their skin care needs. 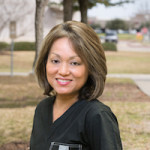 Licensed spa esthetician and massage therapist Wendy Payne is a Sugar Land local with an in-depth knowledge of multi-med skincare products and specializes in restorative facials, glowing body treatments, face/body waxing, and pampering and therapeutic massages. 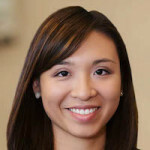 Licensed medical aesthetician Meme Pingley is a new and exciting addition to the spa from Colorado. 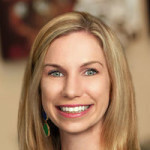 With 15+ years of expertise is focused on medical spas, her expertise is focused on medical facials and botox/dysport injections, and she plans on bringing chemical peels and laser treatments to the spa in the near future. Schedule your FREE Skincare Consultation today! Meet with our expert aesthetician to answer all of your questions on your specific skin care concerns and to find out what your skin needs to stay looking young and fresh. You do not have to be a patient of the practice, and there is no obligation of purchase any products or services. Our prenatal massage is a stress-relieving massage using a specialized pregnancy pillow to safely pamper you and your baby at any stage of your pregnancy and is a safe alternative treatment to your pelvic and back pain management. Our full-body therapeutic massage is a calming massage featuring aromatherapy designed to help you and your muscles revitalize and relax. Available to all ages! Our spa and medical facials are tailored to your skin concerns: anti-aging, brightening, acne, or inflammation. We exclusively use Rodan+Fields products, which were created by dermatologist Dr. Katie Rodan and Dr. Kathy Fields, who also founded Pro-Activ. *All appointments include a free skincare consultation visit. No additional injection fees.